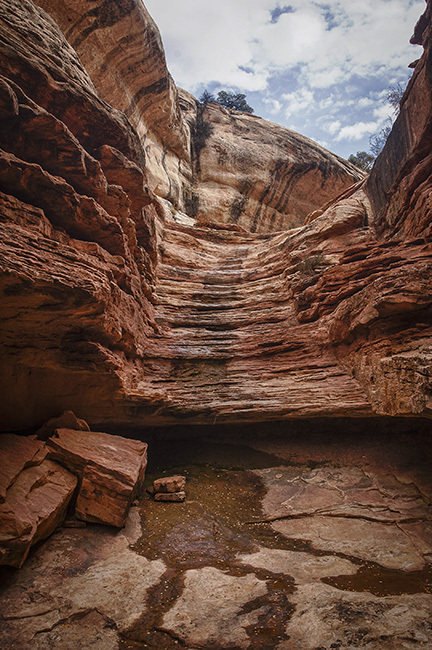 Bullett Canyon was a water source for ancient Anasazi 1000 years ago. The Canyon is located in se Utah on Cedar Mesa. The hike is middle-of-the-road; if wet or snow, it would be really hard to get back up this steep feature.